Since several month I was working on my new beautiful map BeautyBerlin. This folding map is a curated collection of beauty spots composed so that you can explore the spas and salons of Berlin with ease. 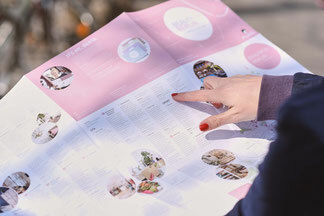 For the map I designed three relaxing walks through Berlin, including cosmetic studios, concept stores, boutique fitness studios and soulfood restaurants. Today I want to show you one of them. Join me – let`s take a beauty walk through my city. 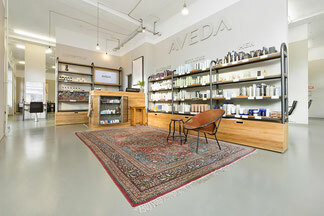 Today everybody is searching for a unique experience, either while traveling or in everyday life, to stay beautiful, journey with ease to explore my favourite beauty salons, spas and shops in Berlin, starting in Prenzlauer Berg. How do you want to start your day: Maybe with a banana porridge with blueberries for breakfast or quinoa salad with wild herbs, avocado and feta cheese? In this charming café you can enjoy a healthy breakfast with delicious coffee and homemade smoothies. After the breakfast you can visit the Kollwitzmarkt; fresh food from regional farms, small snacks are waiting for you; visit cafés close by and find many hand-made products like wooden toys and souvenirs. Moreover, two playgrounds are located next to the market. 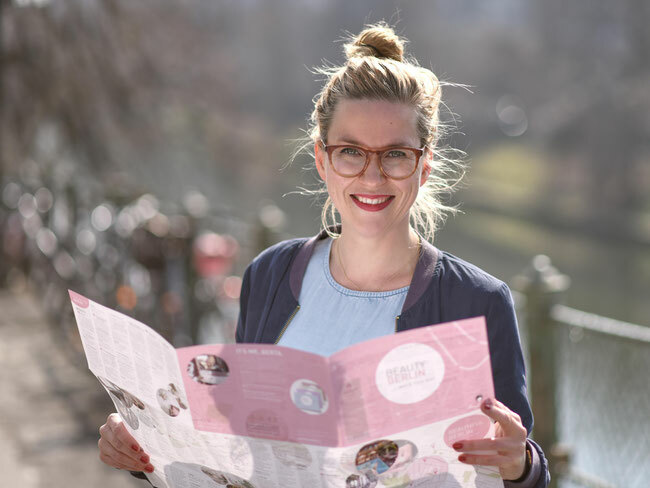 Besides offering hand-made organic beauty products, Lucie runs monthly DIY classes at her shop PonyHütchen. Learn how to make your own homemade beauty products such as bath bombs with simple, natural ingredients. This hands-on workshop is a perfect way to discover how easy it can be to make homemade body care using ingredients everybody has at home. You can book the workshop online or simply ask for it in the store. Close by you can also find the interior shop Nandi and wild heart free soul shop, which sells beautiful handmade vintage kilims as well as invites you to stay and drink a tea or two. Wild heart free soul embraces the beautyof the Turkic nomad tribes. Their selection of carefully curated handwoven vintage kilim-rugs, traditional textiles, calligraphy & ebru art brings a little bit of Turkey right to your home. A real dinner treat with in-house made halloumi- and pulled pork-sandwiches combined with hand cut fries are waiting for you at the Muse Restaurant. They host Supperclub menus in the evening and other events regularly. 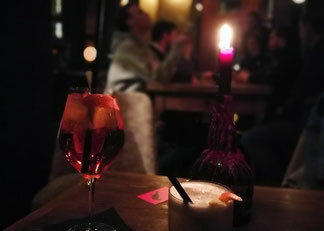 Enjoy a delicious well-deserved drink and free popcorn at the end of the day at this bar. If you want to find more beautiful places of Berlin, check out my other folding maps BertaBerlin and QueerBerlin. They are available in well-chosen locations all over Charlottenburg, Neukölln, Kreuzberg, Mitte and Prenzlauer Berg in Berlin and online. But for those of you, who want to stay up to date, feel free to follow me on Instagram, Facebook or register for my Newsletter.